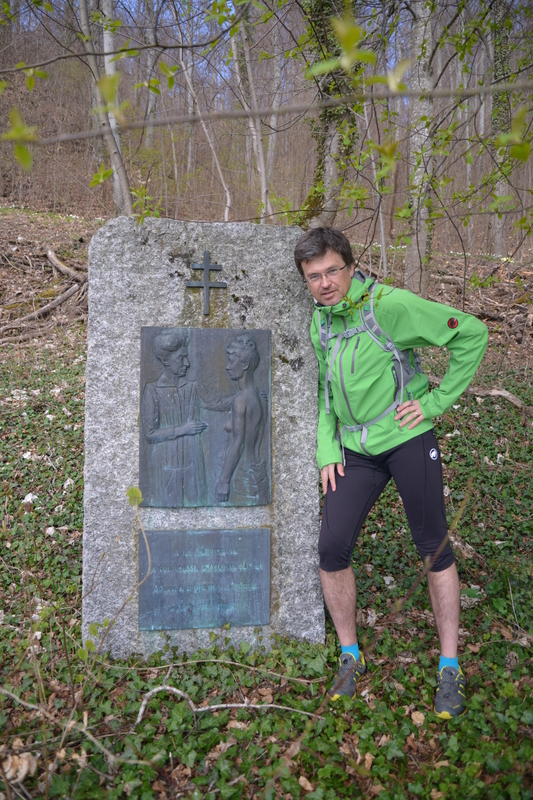 The route around Rolle is already known to you from my previous episodes, but I found there something new and interesting recently. 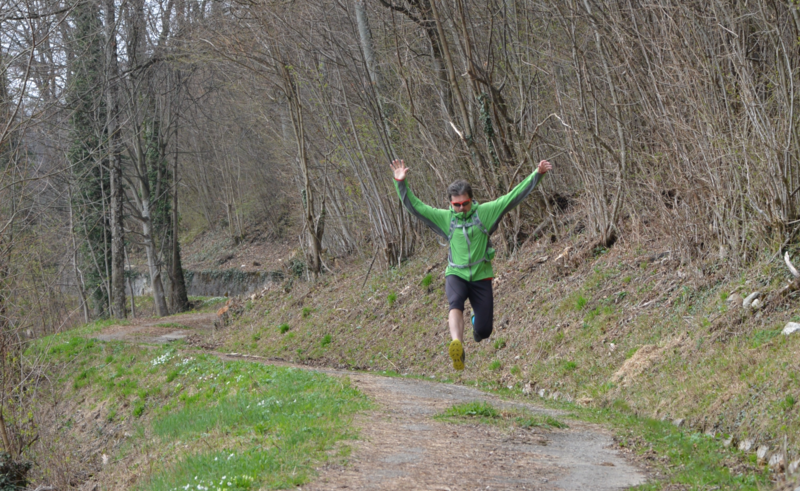 It was the first day of the early spring. The south wind blew and turned the piles of snow stacked along the sidewalks into the liquid mud. Into the hair and into the mouth, into the nostrils, into the cheeks and into the ears of the children hurrying to the nurseries this dry, strange wind was blowing. Just around the early spring, when the trees and bushes have not released yet new leaves, I visited my personal “Mr. Muscle” route. 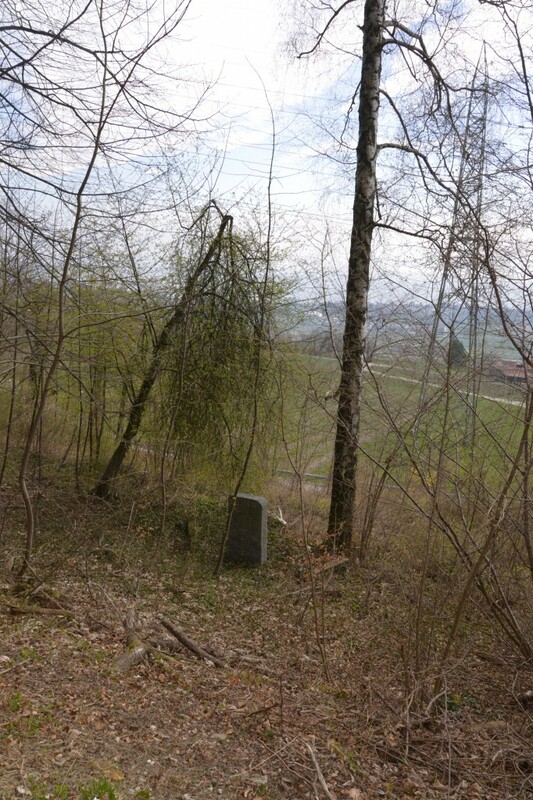 As I was running happily down from the highest point of the route (760 m), on the path above Gilly Hospital, I have seen on the right side a mysterious monolith. 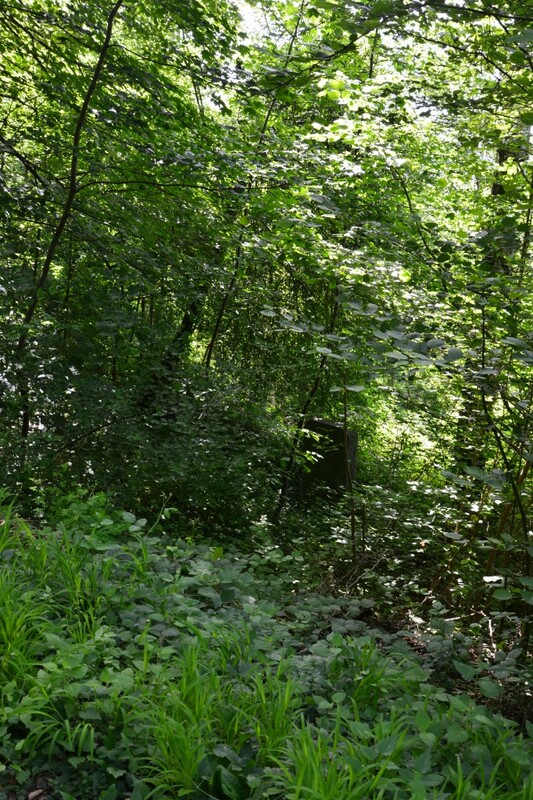 Usually, it is not visible from the route because it is covered by dense vegetation. Charlotte Olivier was born in Russia in 1864, in a family of doctors of German origin. After completing her nursing school in St. Petersburg in 1894, she began to study medicine at the University of Lausanne. During her internship she met Dr. Eugène Olivier, whom she married in 1901. 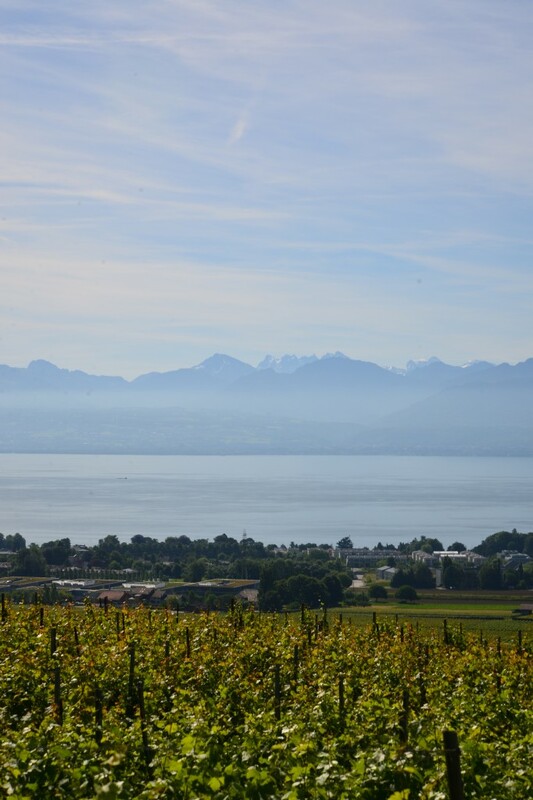 She led her medical practice in the Canton of Vaud. At that time, tuberculosis was gathering a tragic harvest among the people in Switzerland as well as in whole Europe. Tuberculosis (TB) – is a widespread and potentially lethal infectious disease caused by mycobacterium tuberculosis. Tuberculosis mostly affects the lungs, but it can also attack the central nervous system, lymphatic system, blood vessels, osteoarthritis, urogenital and skin. In the past, tuberculosis was called consumption because in a short time it led to severe athrepsia with hemoptysis, fever, pallor and progressive weight loss. The notion of tuberculosis is etymologically derived from nodules, changes visible in histopathology examination in a tissue changed by tuberculosis. World Tuberculosis Day is celebrated on March 24th, on the anniversary of the day when Robert Koch identified and described mycobacterium tuberculosis in 1882. Dr. Charlotte Olivier, on the basis of clinical trials, but first of all all on the basis of observation of patients’ living conditions, became aware of the importance of contextual (environmental) factors in the formation and development of this disease. By checking the level of education, housing conditions, work hygiene and… alcoholism, she was able to accurately determine the health status of people infected and prognosis for their cure; often better than using traditional medical intervention. Madame Olivier has become a symbol of a doctor who, in his thinking of health and illness, went beyond purely medical schema. She understood the need to act on different levels to improve the health of the population. She also noted that education and improved living conditions are key factors in halting the tuberculosis epidemic. She stubbornly argued that legal changes, education of healthcare professionals and patient education were necessary. She mobilized women in the canton of Vaud and started training specialist (visiting nurses) who helped to treat patients directly in households and educated the population about hygiene and adequate nutrition. I am deeply convinced that education on the fight against tuberculosis in our country will systematically develop and appropriate legislation will be passed in order to respond better than in the past. (The work) must be split between men and women. To them belong the lawmaking, the construction of hospitals and the introduction of necessary reforms and to us (The Women’s League) the fight against ignorance and raising the funds. Her actions on the political and social arena and the enormous stubbornness finally brought definitive changes in the Canton of Vaud and in the whole Confederation. 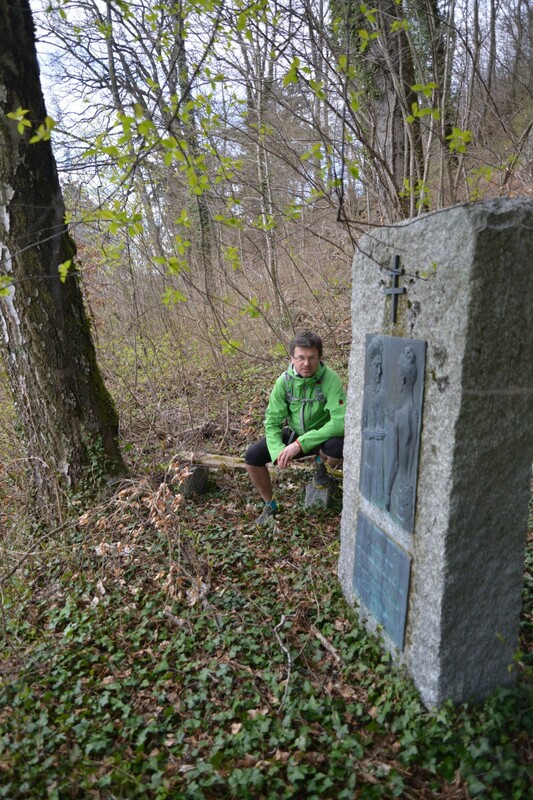 The number of members of the cantonal association for the fight against tuberculosis rose from 200 in the year 1911 to 9 000 in the year 1913. This was due to the information campaign of the Women’s League in Lausanne, headed by Charlotte Olivier. Thanks to her efforts, the first federal law was enacted, specifying the scope and methods of combating tuberculosis, and in the year 1921 a million francs from federal funds were awarded for this cause. 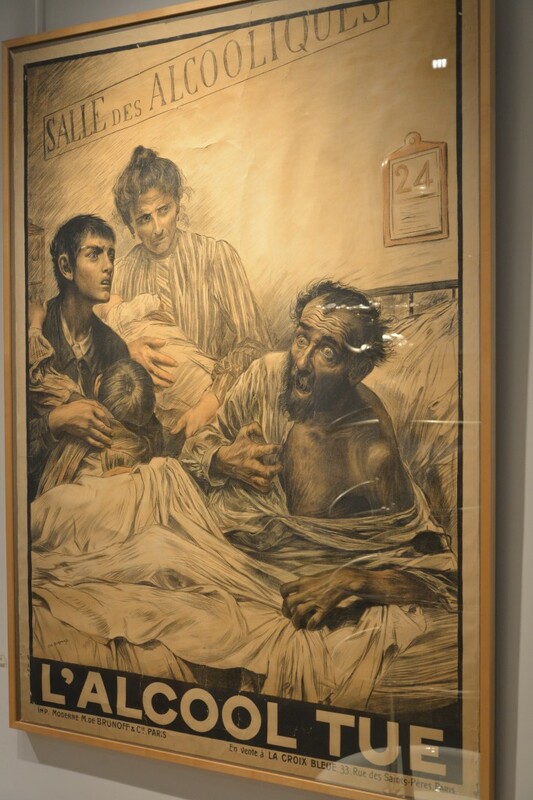 At the beginning of the twentieth century, the cantonal associations for the fight against tuberculosis decided to create a sanatorium for tuberculosis patients. Of course, Dr. Charlotte Olivier engaged in this initiative. 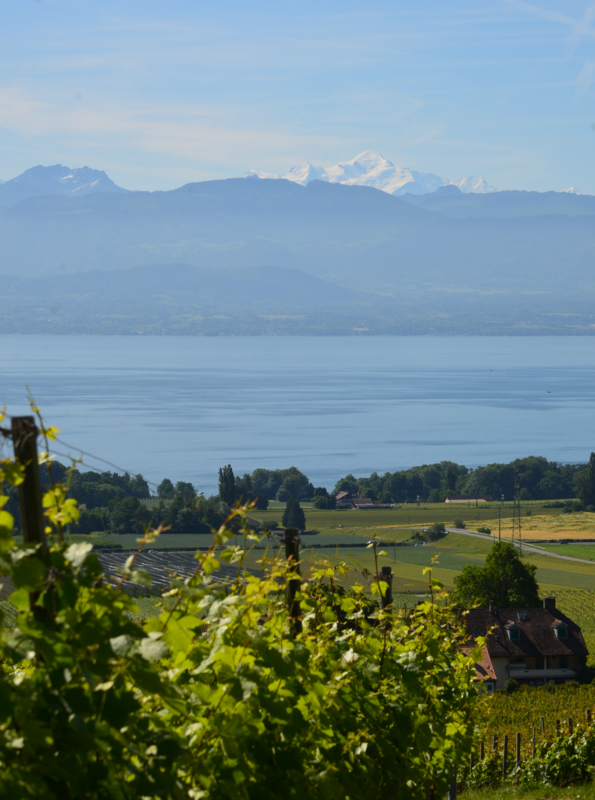 The association acquired the property Essert, beautifully situated between the vineyards and the forest, with a wonderful view of the Lake Geneva and the Alps. The first resident appeared in the restored manor house, which began to be called Pavillon de la Côte, on April 11, 1923. The pavilion functioned as a sanatorium for over 40 years and was transformed into a general hospital in 1965. Since 1989, there is also a rehabilitation center. 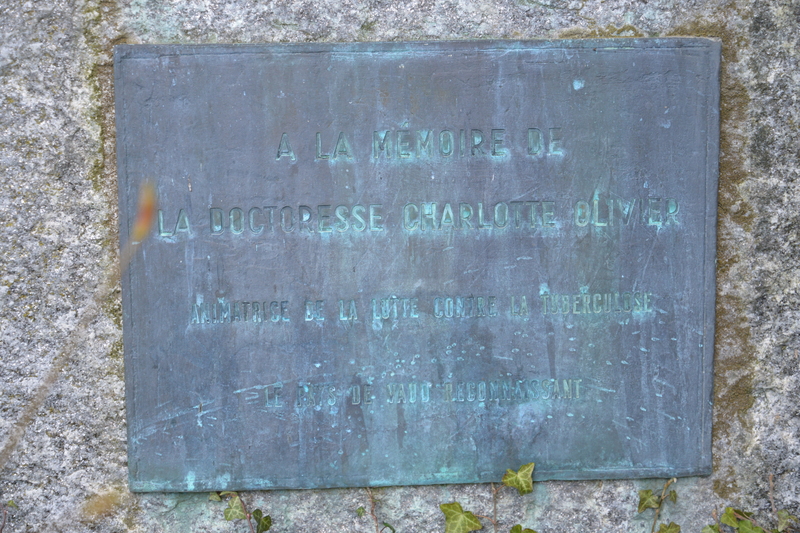 When Charlotte Olivier died in 1945, at the age of 81, her husband, Eugène Olivier, scattered her ashes near the Pavillon de la Côte and the grateful citizens of the canton set up a monument. Bas-relief was based on one of the photos of a doctor at work. Despite the significant development of medicine since the days of Mr. Koch, tuberculosis is unfortunately not a disease that has been eliminated. Although tuberculosis is associated mainly with the ancient times and a few well-known characters which went to glory due to this illness, it still collects mortal harvest on our planet. As a result of the attrition caused by the tuberculosis died Anton Czechov (aged 44), Franz Kafka (aged 40) and George Orwell (aged 47). From Polish writers Juliusz Słowacki and Zygmunt Krasiński died of tuberculosis. According to recent reviews, Fryderyk Chopin was probably not suffering from tuberculosis, but cystic fibrosis, and that was the cause of his death. Also Charles Bukowski (you guess why I’m referring to him) did not die of tuberculosis but was sick with it. With this character involves an interesting anecdote. When Bukowski was about 70 years old, he got seriously ill. He felt bad all year long. He visited all expensive doctors but none could help him. Bukowski was a friend with actor Sean Penn and he took him to his personal doctor, the best in Beverly Hills. After conducting blood tests and taking x-rays, the doctor also could not recognize the illness. Bukowski was an admirer of cats and one day he took one of his pets to a vet. The vet had a cabinet in the deprived area of the city and frequent contact with the poor people. He looked at Bukowski and immediately said that he has tuberculosis. He did not need any research to recognize this. Tuberculosis is primarily a disease of the poor and probably all Beverly Hills physicians were unable to recognise it; they may have never seen tuberculosis. Of course, “the best” Beverly Hills physician was embarrassed when he realized that the vet had made a good diagnosis. He wrote the right medicine and within a few months Bukowski felt good. Tuberculosis is one of the top 10 causes of death worldwide. In 2015, about 10 million people fell ill with tuberculosis and nearly 2 million died of it. Over 95% of TB deaths occur in low- and middle-income countries. Six countries lead in this unhealthy list: India, Indonesia, China, Nigeria, Pakistan and South Africa (60% of all tuberculosis cases in the world). In 2015, about 1 million children were infected with tuberculosis and 170 000 died (excluding children with HIV). TB is a leading killer of HIV-positive people: in 2015, 35% of HIV deaths were due to TB. Globally in 2015, an estimated 480 000 people developed multidrug-resistant TB (MDR-TB). TB incidence has fallen by an average of 1.5% per year since 2000. It is estimated that between 2000 and 2015 about 49 million people have been saved through TB diagnosis and treatment. Ending the TB epidemic by 2030 is among the health targets of WHO.